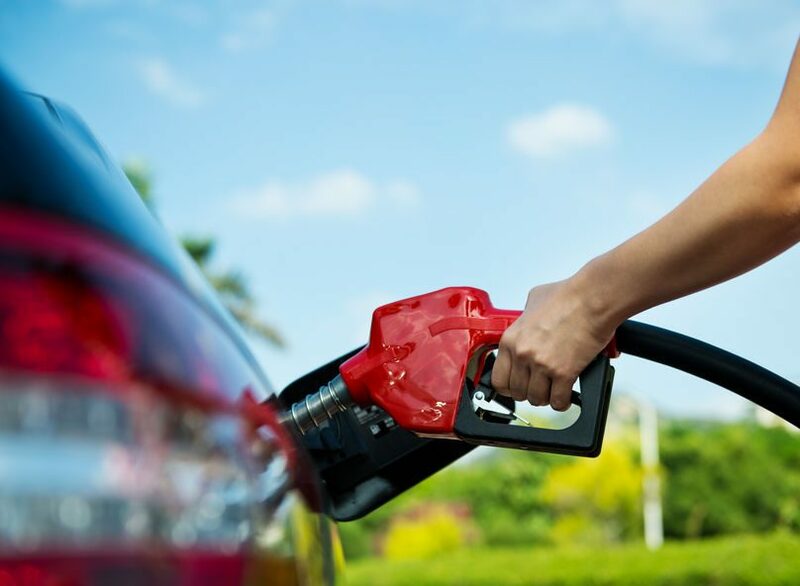 Mileage reimbursement is intended to cover all the costs associated with operating a vehicle for business purposes, including wear and tear on the car as well as gas costs. Employers who reimburses mileage, should not also reimburse for gas or for oil changes. Mileage reimbursement should cover all of those expenses. Of course, an employer can reimburse whatever he or she chooses and if this just covers the cost of gas, that is fine (in most states). If an employer does not reimburse the full IRS rate, then employees can deduct that portion on their taxes. Keep in mind, though, that mileage can only be deducted if it exceeds 2% of the employee’s AGI. So if employees don’t drive much for work, they won’t be able to claim the deduction. Should You Calculate Mileage Costs Manually or Use the IRS Rate? However, the standard mileage rate is more than sufficient in most cases. Employees who drive cars getting less than 18 miles per gallon might want to consider calculating costs manually. No matter how much an employer decides to reimburse employees, tracking mileage with Timesheets.com makes it easy. The employee simply adds the miles on the expense sheet and the system calculates the total dollars to be paid based on the mileage amount that the employer sets up. What if a volunteer loans her car for a church trip and a different volunteer puts gas in the same car? Do I reimburse the gas for one and mileage for the other? You could. Maybe reimburse one the gas and the other mileage less the gas. Thank you for your help. I think that sounds fair. This calculation is very UNFAIR regardless of whether it was implemented by the IRS . 1) For example, in the above scenario , the sales girl who drives a 100 miles per day x 20 days per month =2000 miles x mo or 24,000 x yr. 72,000 miles over 3 years. A typical 3 yr lease only allows 12,000 per year or 36,000 miles at lease termination. At the end of the year lease, she will owe mileage overages of 36,000 miles multiplied by anywhere from 25 to 60 cents per mile. 2) the above scenario states the sales girl drives a car which gets 29 miles per gallon which is a very high number considering few cars get that mileage in combined city/hwy driving . Well what if the sales girl does not commute in Kansas and instead drives through dense metropolitan traffic areas such as downtown NYC, New Jersey, Los Angeles, Chicago or Philadelphia, her vehicle may get 4 to 8 miles per gallon while stuck in traffic. 3) Gas should be reimbursed separately for people driving in these areas. Not to mention car insurance premiums can cost thousands of dollars per year more than in rural areas. For example the national average auto insurance premium is 536.00 per year, while NY can average 1,200.00 to 2,500.00 per year. 4) to fairly determine what a company should reimburse an employee would be for that company to calculate what it would cost them to own or lease a vehicle and all its associated costs of operation. At 53.5 cents a mile, the employee is footing a good portion of the auto expenses which is coming out of his earnings. The employer saves a considerable amount over owning and leasing a vehicle, which in my opinion is completely unfair. Totally agree. Not to mention the cost of depreciation. The employer has the option to reimburse or not reimburse their employees for mileage or for actual vehicle expenses, if the employer doesn’t reimburse their employees for either then the employee can claim either (not both) the mileage or the actual vehicle expenses as a deduction on their tax return, the employee will need to keep good records which includes copies of the actual receipts for gas, vehicle maintenance and/or repairs, oil changes, insurance, etc. and for mileage a detailed mileage log that is documented the day of or shortly after the miles were put on the vehicle including proof of the miles on the vehicle at the beginning of the tax year and ending of the tax year (copies of oil change invoices, vehicle service records, etc. showing the miles on the odometer) the employee can then decide which expense would be more beneficial for them, either the mileage or the actual vehicle expenses. A lot of times it is more beneficial to claim the actual vehicle expenses then it would to claim the mileage but until you add both expenses up you wont be able to determine which is the better way to go. It would be unfair if the IRS only allowed a mileage deduction because as you stated sometimes it cost more for actual vehicle expenses than the 53.5 cents a mile when you’re not racking up the miles on your vehicle. .
how often is the mileage reimbursement should be submitted? I have mileage reimbursements from 6 months ago? Companies have different policies on that. Hello, thank you for all the information and food for thought. .. I may travel from 100 to 225 miles a day for work; my schedule will vary from 3 – 4 days a week, and from 5.5 to 8 hrs per day. This schedule is also true of my co-workers. My employer used to pay a set rate per mile driven for work – $0.25 per mile. How can this work using my schedule as detailed above? Csn you (or anyone) suggest an alternate formula that accommodates a varied schedule during the pay period, won’t bankrupt the employer, yet is still fair to the employee? As an owner of an LLC, do I reimburse myself for mileage or do I keep it as a company taxable expense? (its not a reimbursed expense through my client/customer, its just the mileage I incur for business travel). My job pays the going rate for gas mileage, but then I am taxed on it. Is this right , & what can I do about being taxed on that part of my pay?